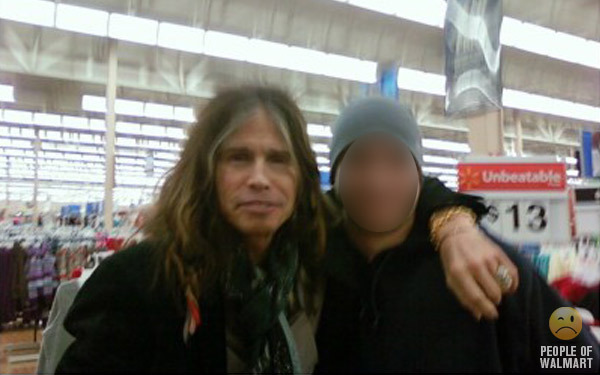 Here’s erstwhile is-he or isn’t-he still the singer for Aerosmith, Steve Tyler. Hanging out at a Massachusetts Walmart. » Hey lady? There’s this expression — RTFM. Have you heard of it? » Bearded lady? Man with lady hair?